As I said before in my "Live.Love.Carnaval" post, I fell in love with the OPI Brazil Collection the moment I saw it. OPI I Just Can't Cope-Acabana was one of the polishes I decided I had to have from the collection. It's a bright summer sunshine yellow creme, not too golden, not too pastel. Just pure, happy yellow. Yellow nails have never been a fashion go-to for me. Yellow was one of my high school colours and so yellow nails always meant "pep rally" or "big game" for me. In my high school hunt for bright yellow nails, I have learned that yellow may be the hardest nail polish to get a good formula. They tend to be sheer, streaky, or grossly thick and hard to work with. This yellow was a different story altogether, it was quite a dream to paint on! Smooth, good coverage in two coats, bright pigmentation. I Just Can't Cope-Acabana is the best yellow I've ever applied. The colour on its own is beautiful - vibrant and sunny. I am not sure how flattering it is on me or how much I like it against my skintone but I imagine it would be gorgeous next to a tan. 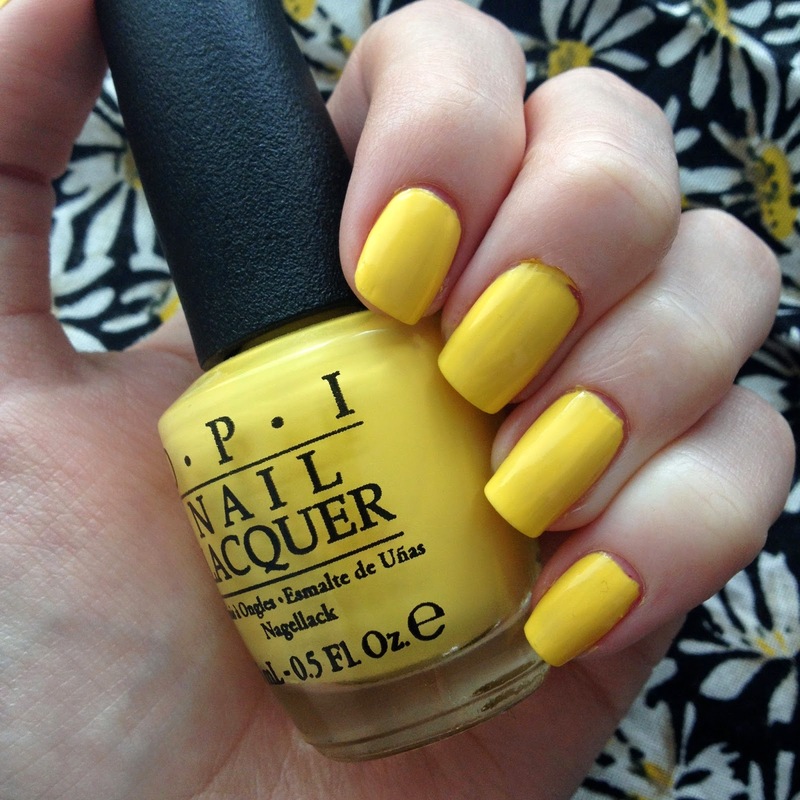 If you're on the hunt for a great yellow for summer, this is the best one I can recommend!